EYESOFT ASFÉRICAS HIGH MONTHLY LENTILS CREATED FOR PATIENTS WITH HIGH MYOPIA! 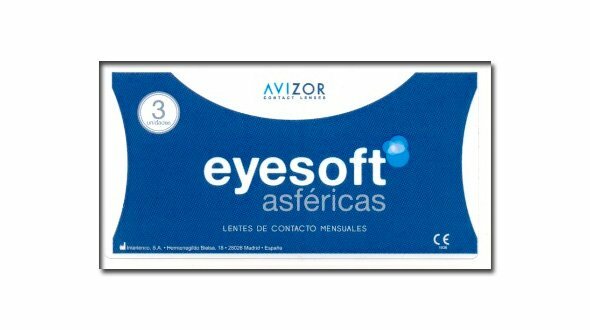 EyeSoft monthly Aspheric lenses are manufactured and distributed by the Avizor-Interlenco domestic manufacturer dedicated over 30 years to vision care and maintenance of contact lenses. Excellent visual acuity applying exhaustive quality controls. Aspheric manufacturing technology, which reduces refractive astigmatism. Clear vision and maximum definition of the contour of the details. Amplitude of parameters, correct up to 20.00 diopters of myopia. High technology material that retains the hydration of the lens naturally, without chemical additives in its formulation. Eyesoft Aspherics are basic contact lenses but offer the patient great vision quality and comfort throughout the day, with a simple handling. Ideal for beginners or people with handling difficulties. When ordering your lenses EyeSoft Aspheric in Prodevisión, they must have been prescribed by a specialist optician or ophthalmologist vision, from there, you must place your order by copying the parameters of the last box you have acquired, ie, the first the adaptation has to assess the professional vision, movement of the lens in the eye and also will teach the correct management and maintenance of these. It is important to mention the maintenance liquid, usually called a single solution. This must be of quality (first brand, all liquids are not the same) and if possible always use the same, a change of liquid can cause serious problems in the use of lenses. 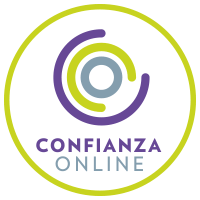 In Prodevisión we have the first and best brands of maintenance liquids on the market that assure you that they will take care of your eyes and your lenses online with all the guarantees. It is essential to follow all indications of use of the manufacturer of monthly lenses (Avizor-Interlenco) in terms of hours of use, care, handling and replacement. As for the replacement is very important to respect it, since, they are discarded a month to open the blister in which they come from the factory (there are 30 put, but 30 days since opening). Cheap lenses, with the passage of days accumulate tear deposits, dust, environmental dirt, poor cleaning ... If the lenses are not discarded can trigger an eye irritation and consequently an allergic reaction. If you notice discomfort when wearing red eyes or do not see correctly, remove these contact lenses immediately, discard them and consult your trusted optician or ophthalmologist. If not, you may have eye problems. 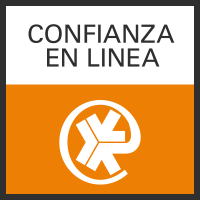 In Prodevisión we are professionals, so if you have any problems do not hesitate to contact us. For our part, as specialized contactologists, we will be happy to help you in everything we can.